Credit Courtesy of Goucher College. Today, another in our occasional series, Midday on Higher Education. From time to time, Tom Hall sits down with the leaders of Maryland colleges and universities to talk about the challenges that each of their institutions face, and how those institutions are connected to the communities in which they are located. The series began last month, when Dr. Maria Thompson, the president of Coppin State University joined Tom in Studio A. Since appearing on this show, Dr. Thompson has announced her retirement from Coppin at the end of the academic year. 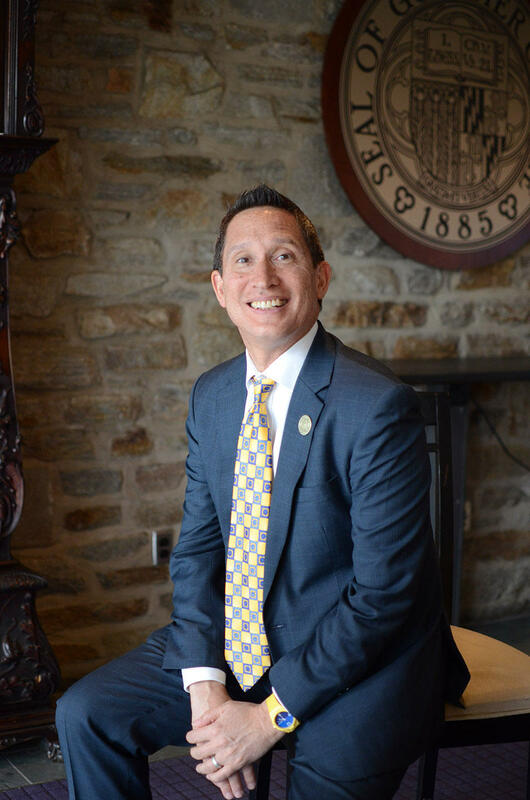 Today, Tom's guest is Dr. José Antonio Bowen, the president of Goucher College. He too has announced that he is retiring from that position at the end of June. Founded in 1885, Goucher is a private, liberal arts college in Towson, just north of Baltimore. Goucher was initially an all-women’s college; It became co-educational in 1986. Dr. Bowen has led Goucher since 2014 -- after leadership and teaching positions at Southern Methodist University, Miami University, Georgetown, the University of Southampton in the U.K. and Stanford University. He is also a composer, a conductor, and a jazz pianist. His Symphony No. 1 was nominated for a Pulitzer Prize, and he is the author of several books, including “Teaching Naked: How Moving Technology Out of Your College Classroom Will Improve Student Learning.” He is 56 years old. We livestreamed this conversation on the WYPR Facebook page. To watch that video, click here. Due to a technical error, the audio previously posted for this interview was incomplete. The full audio has now been uploaded, and we apologize for the inconvenience.